Hylio has ongoing UAV operations across the world. Hylio has partnered with GetMyFood! to perform commercial drone deliveries in San Salvador and surrounding areas. GetMyFood! is affiliated with hundreds of local restaurants and is utilizing Hylio's drone technology to increase their delivery fulfillment rate while dramatically reducing their costs. Hylio has worked hand in hand with the Salvadoran Autoridad de Aviación Civil (AAC) to become the first company to be certified for BVLOS commercial deliveries in El Salvador. Over 75% of the land area in El Salvador is used for agriculture. Hylio is working with Dronex, a Salvadoran agrotech company, to revolutionize agricultural processes. Dronex will use Hylio's UAV platforms to accurately spray crops with fertilizers and other important agrochemicals. Hylio's drone technology will also be utilized to process aerial imagery of crop land, allowing for accurate prediction of crop yield, nitrogen levels, and more. 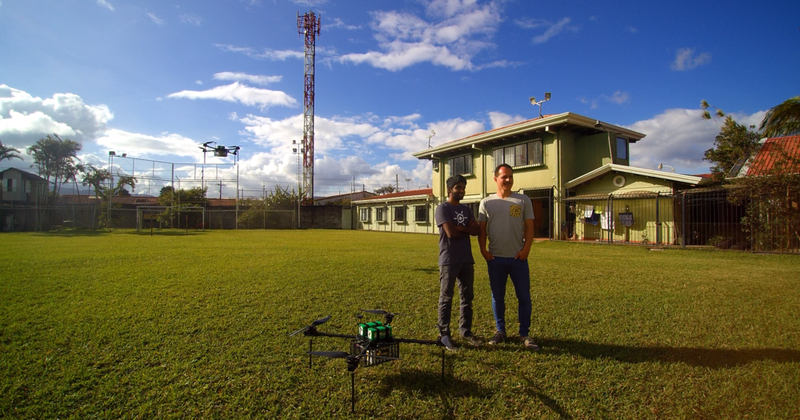 Hylio performed the first ever drone deliveries in Latin America alongside GoPato, a Costa Rican courier service. After receiving government approval in early 2017, Hylio performed hundreds of real-time deliveries to actual customers in urban areas of San Jose. Thanks to our weather-resistant technology, our UAVs could handle the humid, often rainy climate of Central America. Pizarea is an online food ordering service based in Accra, Ghana. They are partnered with over 80 local restaurants delivering everything from pizza to coffee. Using Hylio's delivery drone technology, Pizarea is avoiding the heavy congestion on the streets of Accra. They can now deliver directly to customer's residences in under 10 minutes. Hylio has partnered with the Ghana Civil Aviation Authority (GCAA) to safely integrate drone technology into Ghanaian airspace. Hylio is the first company to be certified for BVLOS (Beyond Visual Line of Sight) flight and is also the first to be certified to manufacture UAV technology within the country. Hylio has collaborated with the GCAA to develop a training program to educate and certify Ghanaians as drone operators and manfucturers. Hylio is focused on enriching the local workforce with the knowledge, skills, and technology to help make Ghana the drone hub of Africa. UAVs are being used in a wide range of industries in the US. From construction surveying, to scientific research, UAVs can streamline processes that were previously cost prohibitive or simply impossible. The UAV industry is constantly evolving. Everyday, new technologies emerge to revolutionize the way we tackle old problems. Hylio leverages its intricate knowledge of the drone space and its manufcatring experience to deliver cutting edge, custom drone solutions to our clients. Feel free to contact us here at any time to discuss your project's needs. Medicine is lightweight, and often times, patients cannot travel very easily. For these reasons, drones are ideal for the delivery of prescription treatments. Hylio has partnered with Speedweed, a California based company which delivers medical grade cannabis to patients in need.